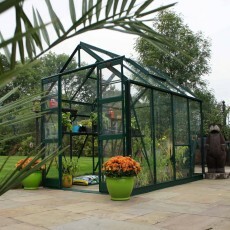 The 6’3″ wide Elite Strata greenhouse stands head and shoulders above most other 6′ wide models in the market due to it’s double doors. 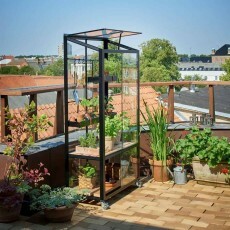 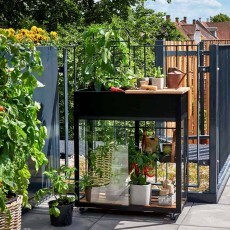 The City Urban greenhouse by Juliana is compact and attractive, making it an ideal greenhouse for city living and limited garden space. 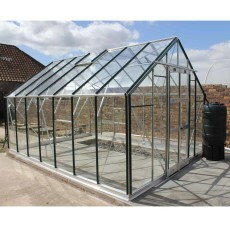 If your site is limited to below 8′ wide, previously your only option was a 6′ wide greenhouse, but now you can get this ideal 7’5″ wide one. 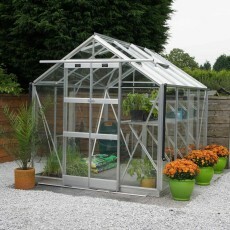 The smallest Eden greenhouse at 4’10” wide featuring the revolutionary Zero Threshold? 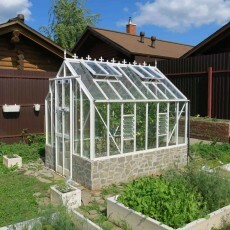 door system with no step or door threshold. 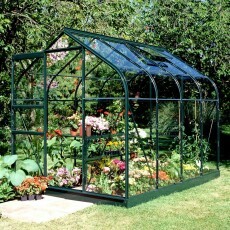 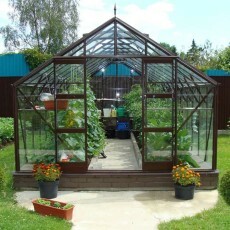 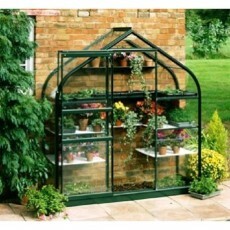 This stylish 6’3″ or 8’5″ wide greenhouse features a unique curved eaves to make it an elegant addition to your garden. 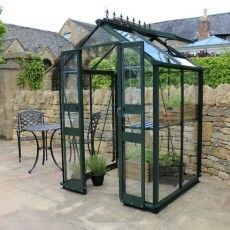 The Thyme 6 is 6’3″ wide and immensely strong thanks to the unique and elegant 12″ wide glass panels, giving more of a victorian feel.